I love classical music. But occasionally I will also go with a relax mood listening to light music. Being a classical fan, I much prefer light music performed with classical instruments, rather than those performed by electric synthesier. 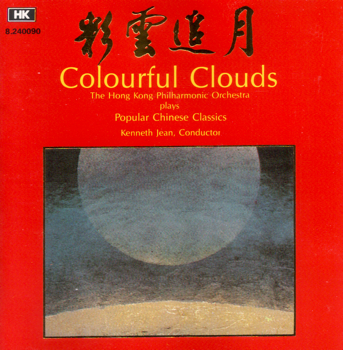 I remember in the 80s a CD (or more correctly LP and casette then) by HK label Colourful Clouds （彩云追月）was very popular. The music was performed by The Hong Kong Philharmonic Orchestra, conducted by Kenneth Jean. Some of the titles are classical Chinese music ‘Colourful Clouds’《 彩云追月》，’Reflection of the Moon’《二泉映月》，folk songs ‘Jasmine Flower’《茉莉花》，’Song of Four Seasons’《四季歌》， Chinese pop like ‘How can I forget Him’《叫我如何不想他》. Very good music and recording it was for the Colourful Cloud, but to me the arrangement was too Japanese. I remembered at that era many Chinese and Japanese pop songs were arranged by Japanese. For me I much prefer Hong Kong musician Joseph Koo's （顾家辉） music and arrangement. I had not been listening to The Colourful Cloud for quite a while. 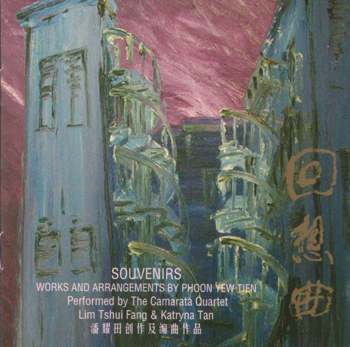 But recently I bought a CD produced by Singapore local musician/composer Phoon Yew Tien (潘耀田) ‘Souvenirs’ 《回想曲》and being also a light music collection it reminded me of The Colourful Cloud CD. To me Mr Phoon must be treasuring the memories brought back by these odies very much that grew up with him over the decades. The works need not to be master pieces, but being truthful and sincere is so much more important. So Phoon recollected his memories by re-arranging with string quartet, piano and harp. The recording was satisfactory, but the piano recording was not crispy enough. 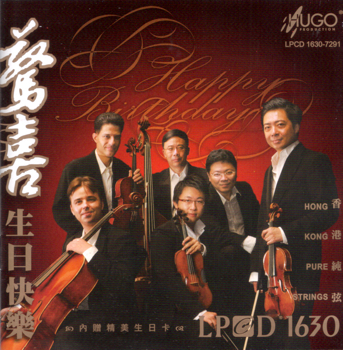 I also bought the CD ‘Happy Birthday’ 《惊喜》（Hugo LPCD 1630), which was also a collection of light musics. As the Chinese title implied (which means surprise in English language), the arrangement of the music has full of surprises, and very lively. The music was performed by string quartet plus a double bass and a harp. The performers in this recording were better in terms of technical skills than the performers in the ‘Souvenirs’ recording. As a result the performances had more urgency and were very much more responsive. But recording effect wise I would prefer the ‘Souvernirs’ one with, to me, cleaner sound, probably due to the way Mr Phoon arranged the instruments I guess. However, from the light music point of view, ‘Souvenirs’ is more likely to bring you into a relax mode with the music arranement, it is kind of like talking about old times with an old friend, that kind of cordial and relax feeling!